Community Financial Money Matter$ Blog: Do I Need an Emergency and Rainy Day Fund? In an effort to simplify their money, people sometimes consolidate accounts. This is ok in many instances, but it’s important to remember that rainy day funds and emergency funds serve different purposes. Additionally, it’s important to have not just one, but both funds available to tap into as needed. Read on for answers to all your questions on rainy day and emergency funds. A Community Financial Savings Account is a perfect home for both your rainy day fund and your emergency fund. You can set up multiple accounts for each one. How can I build my funds? Make it automatic. Set up an automatic transfer from your checking account to your savings accounts so your funds grow automatically. Start setting up your savings today! You’ll sleep better at night knowing you’re prepared for any financial eventuality. 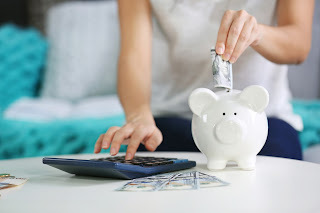 Your Turn: Do you have a rainy day fund and an emergency fund or do you use the same source to fund any extra expense? Share your take with us in the comments.